Another week brings with it another collection of raindrops. This week I was once again presented with the challenge of shooting something in the rain. 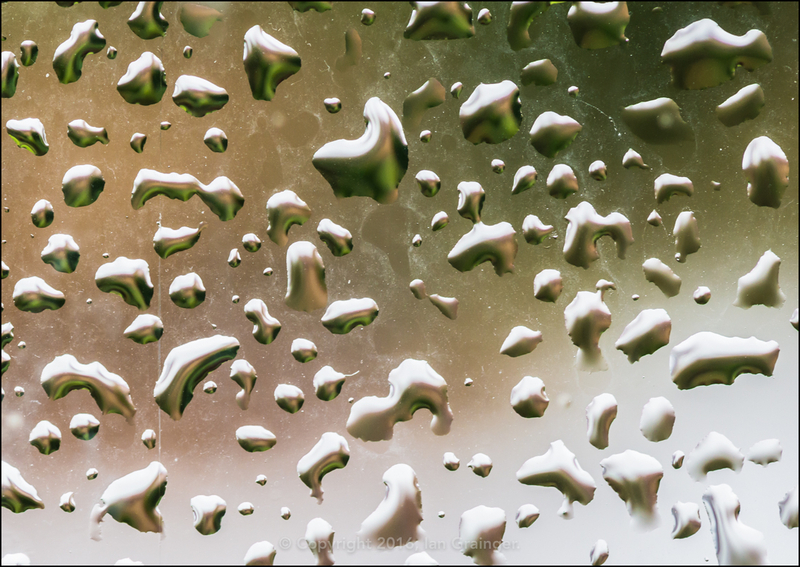 I decided to shoot a series of abstracts based around raindrops falling down the same window, but with the extra complexity of trying to make them all look different in some way. 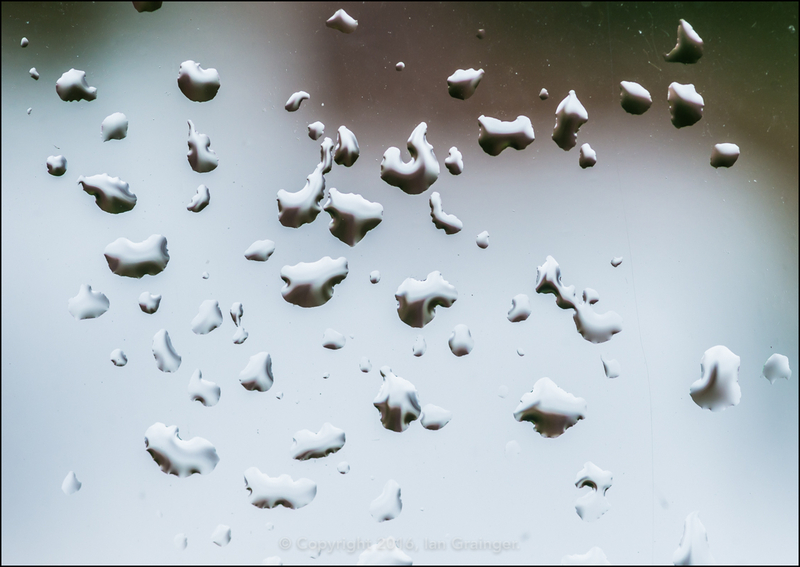 It wasn't until I got the images onto the computer that I realised how dirty the window I was shooting had become, so you'll have to excuse the dirtiness of the glass between the raindrops. 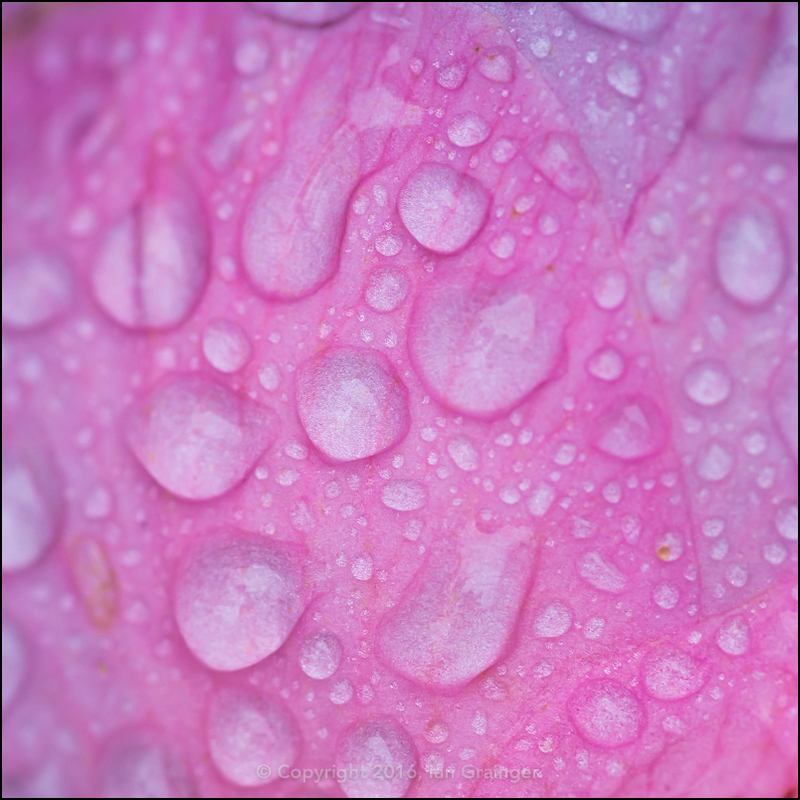 The main image turned out to be my favourite, despite the muck, as you can see where previous raindrops have landed and since dried. I tried to capture as much colour as possible in the second image, and ended up rotating the image to get a good cross section of the garden beyond to flow across the frame. By contrast, the third image is almost black and white, and almost fully devoid of colour. I found the whole exercise very interesting, and could only marvel at how the same small patch of glass could yield such a variation of imagery. 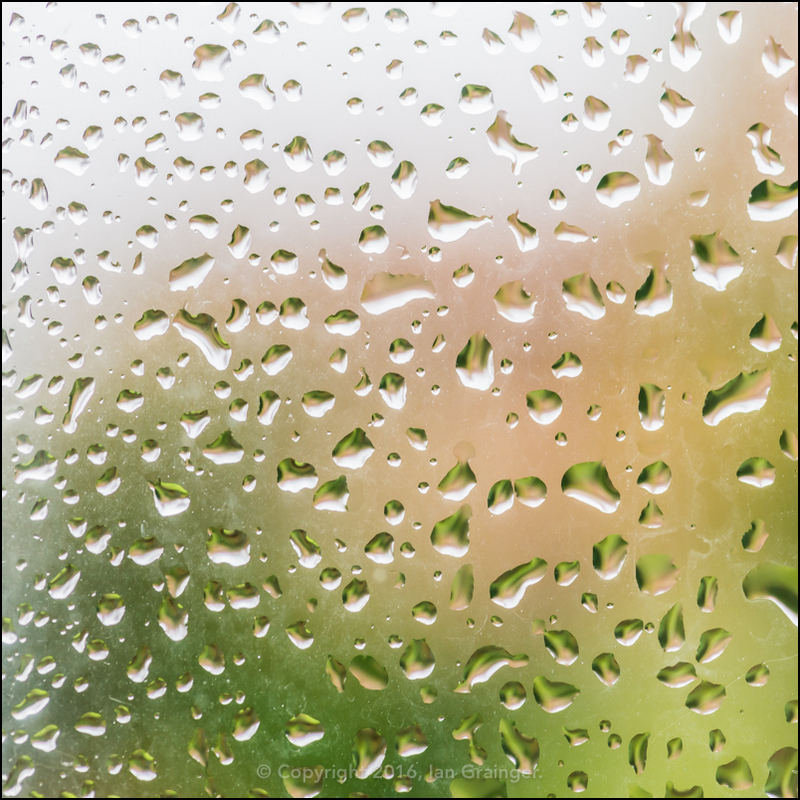 Finally, I couldn't resist including this in my series of raindrop adorned windows. It's becoming somewhat of a weekly theme to include a picture of a Camellia bloom in my weekly articles, and this week is no different.